The world relies on everyday heroes doing great deeds on the quiet. Together they conduct thousands of projects, each important in its own right. Although their efforts might not be acknowledged, they’re very much involved in shaping our future. This is why we want to celebrate you, the contractors. And we’re doing this by creating our own ‘everyday heroes fest’ on social media, putting you and your colleagues in the limelight. 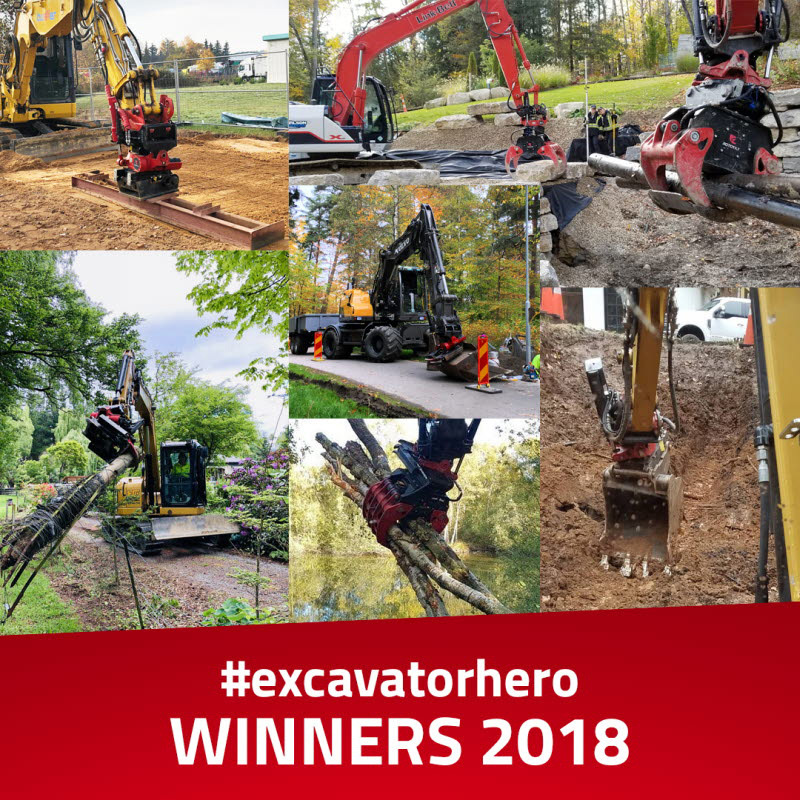 Entrants were invited to post a photo of their machine equipped with a Rototilt tiltrotator on Instagram or Facebook. Briefly describe how a tiltrotator makes a difference in their day-to-day work, and then Tag the post #rototilt #excavatorhero. Thank you all heroes out there! You are all welcome to the Rototilt-factory and Sweden March 6 2019! We would also like to thank for all contributions to the competition – remember that you are all heroes and that there will be a new chance next year. As part of the visit, you and your fellow winners will meet Rototilt’s development department, who will reveal some of the secrets behind Rototilt’s cutting-edge products. You’ll also get the unique opportunity to offer input on the next generation of tiltrotators, control systems and tools. Naturally, you’ll get to experience the beautiful wilderness of which Vindeln is so proud, the elemental forces that have often inspired our product development work. Following a tour of the factory, all the talk about technology and some time in the wilderness, you’ll probably be ready for a hearty meal sourced from Vindeln. And you deserve it!